I think I’ll wear this today. All white with lots of yummy textures. You need a yummy knit on top: Isabel Marant Ottowa Jumper. Some classic converse shoes, a pair of white corduroys and a basic white shirt…my fav is the J.crew one here. 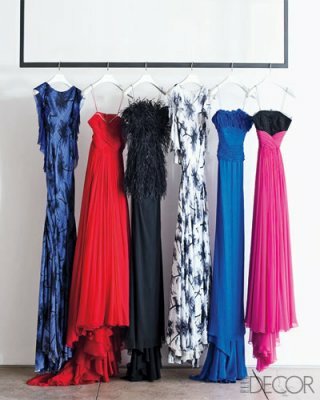 Do you ever wonder where fashion designers create their masterpiece collections? I do! 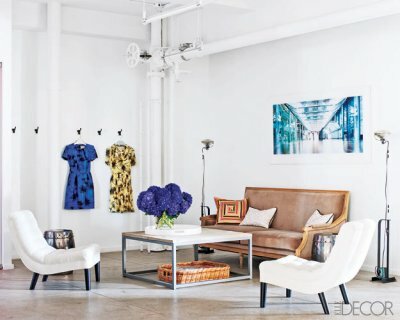 Jason Wu who launched his eponymous line in 2006 and quickly became a favorite of starlets opened his new design office to Elle Decor. 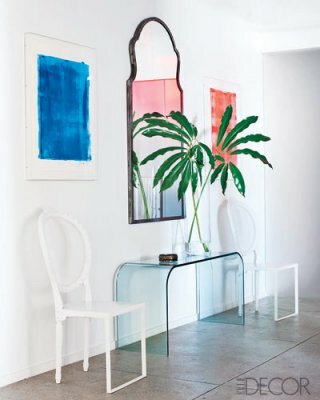 His pieces have clean, classic lines and incorporate bright colors and prints without being flashy. The result is modern and elegant much like this fantastic design space. Elizabeth Dow wall covering made of pages from The New York Observer. 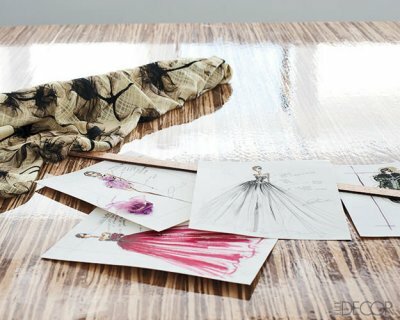 Gorgeous fabric and sketches in his workroom. Red Thonet chairs in the employee dining space add a punch of color! Can I borrow one of these?